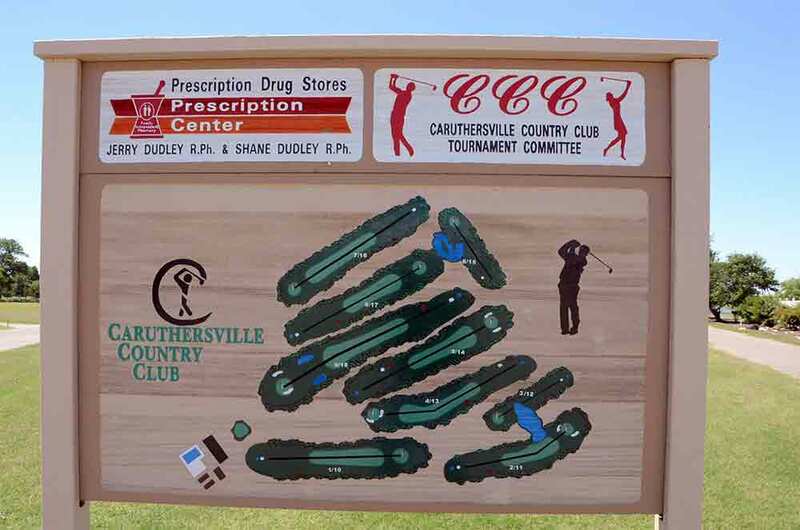 Caruthersville Country Club in Caruthersville, Missouri is a very flat course, as with everything else in SE MO. 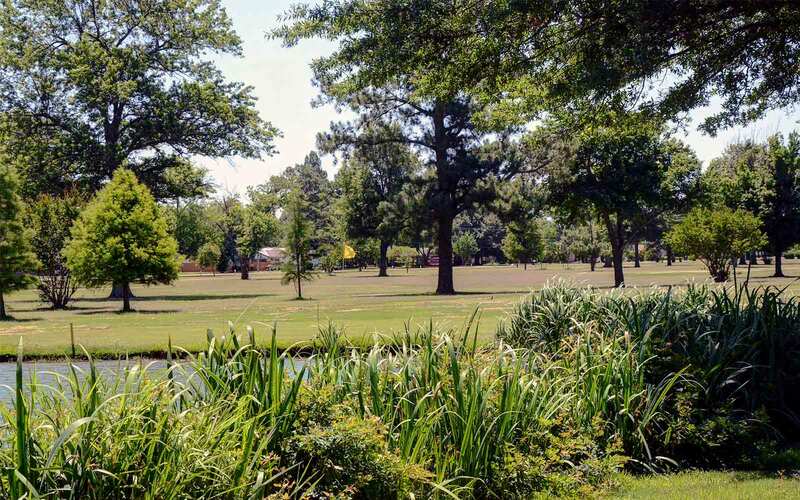 The course is a private club that allows the public to play for a fee. 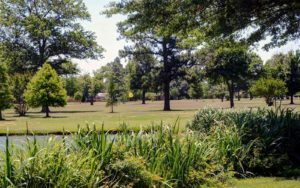 It is a wide open layout with short grass throughout so lost balls should not be an issue, unless you find one of the five lakes. 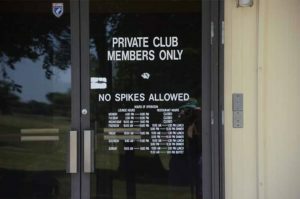 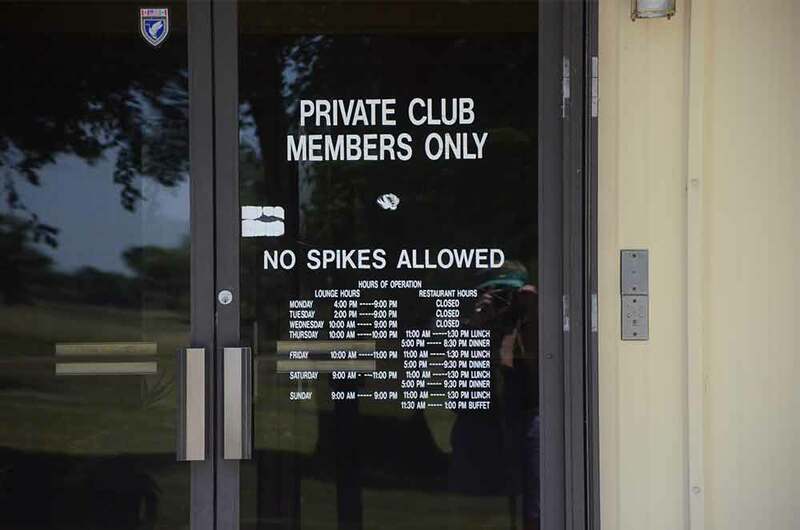 The trees are not a major issue like they are at older, more established clubs. The greens are comparable to a small town club: elevated with a slope from the back to the front. 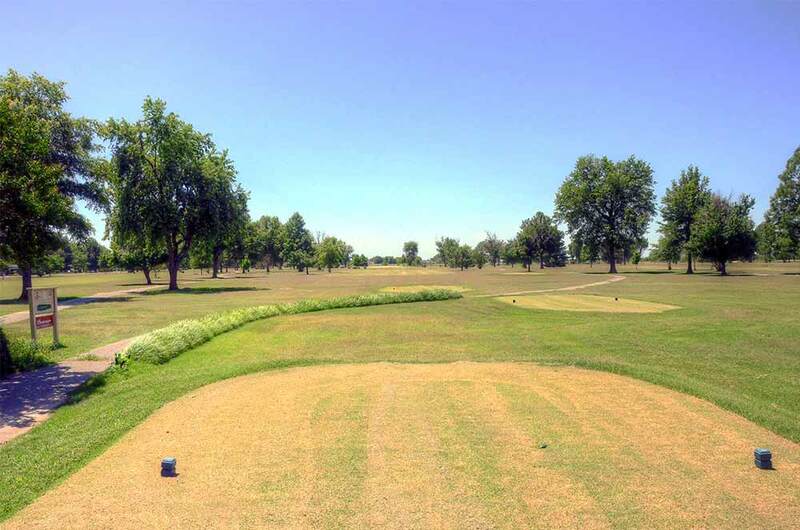 This allows balls to roll onto the putting service. 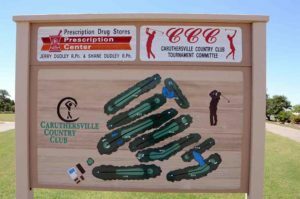 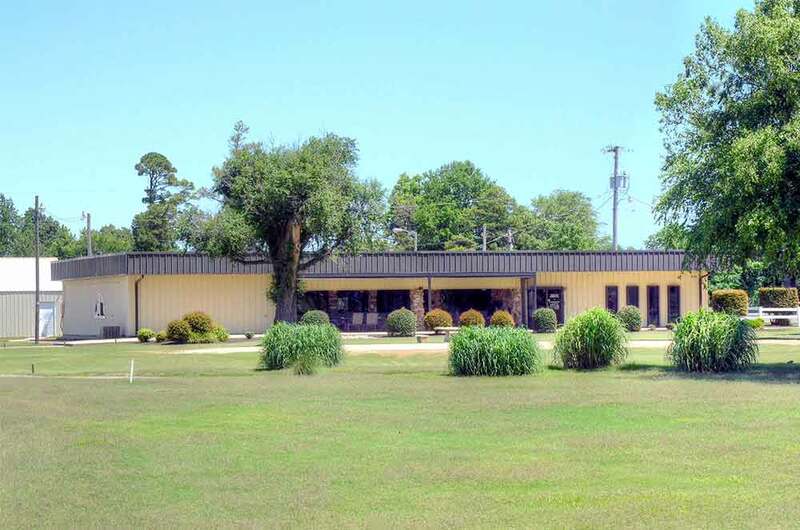 Caruthersville Country Club is a great course for this community.